Welcome to Day #7 of Cadbury Chocolate Theme Week. The first Cadbury chocolate eggs debuted in 1875. They were Easter Eggs. 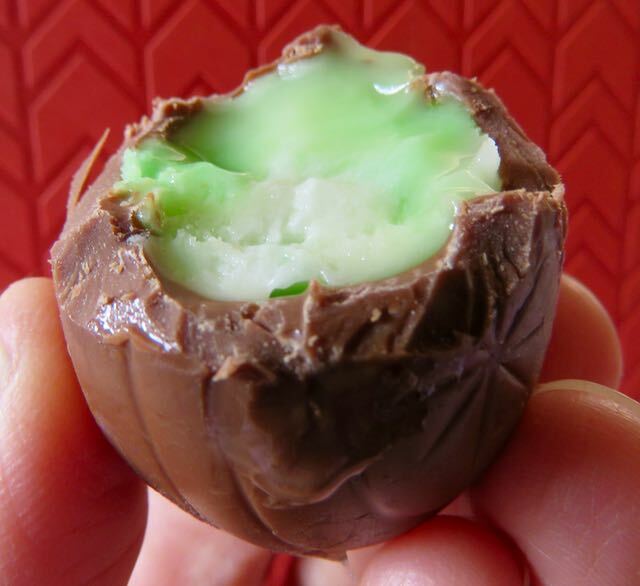 Today's cream-filled milk chocolate eggs looked like Easter eggs. 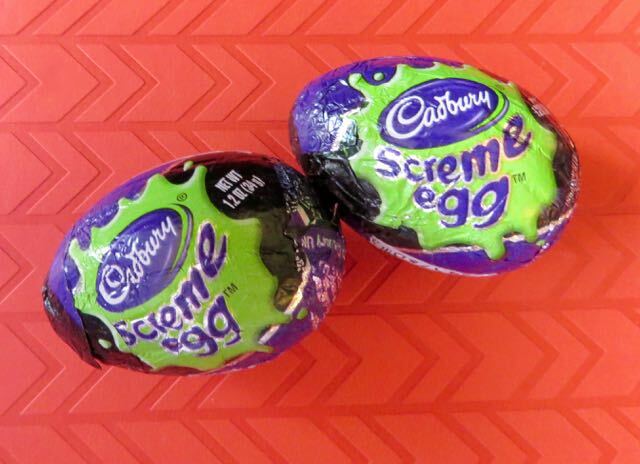 However, these "Screme" eggs were designed for another big chocolate holiday: Halloween. The hollow chocolate eggs were swaddled in black, purple and green foil, and contained sweet, scary green-colored creme filling. Eeeek. Good fun and tasty sweetness. *According to the Cadbury website: "The first Cadbury Easter egg was made in 1875. 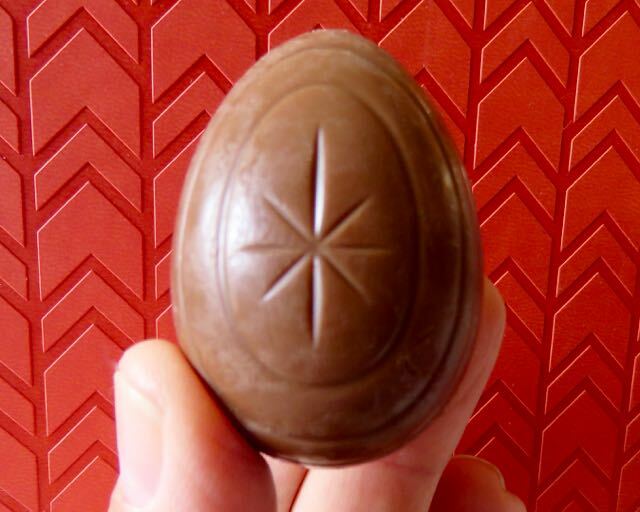 The earliest eggs were made with dark chocolate, and had a smooth, plain surface. They were filled with sugar-coated chocolate drops known as 'dragees'. 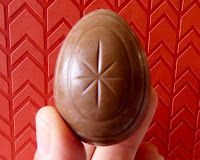 Later Easter eggs were decorated and had their plain shells enhanced with chocolate piping and marzipan flowers."